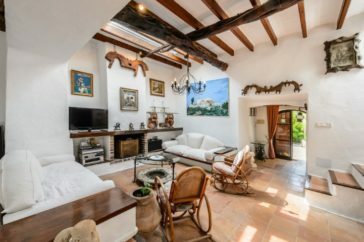 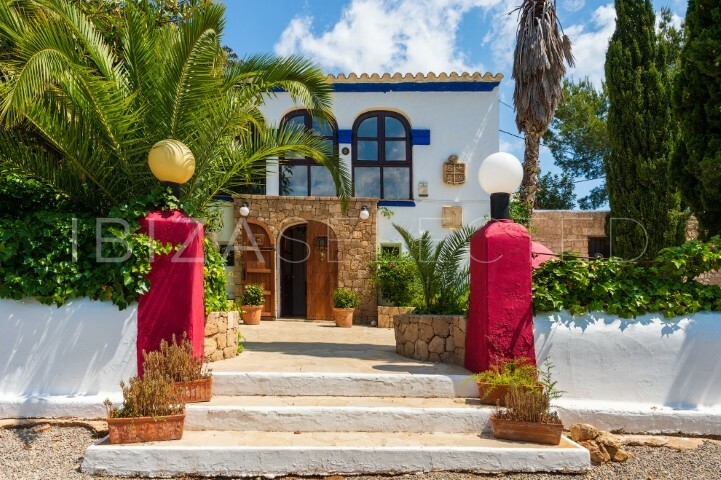 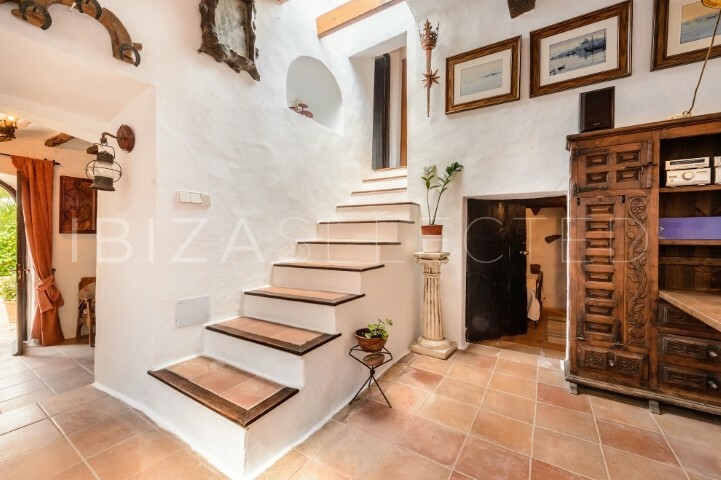 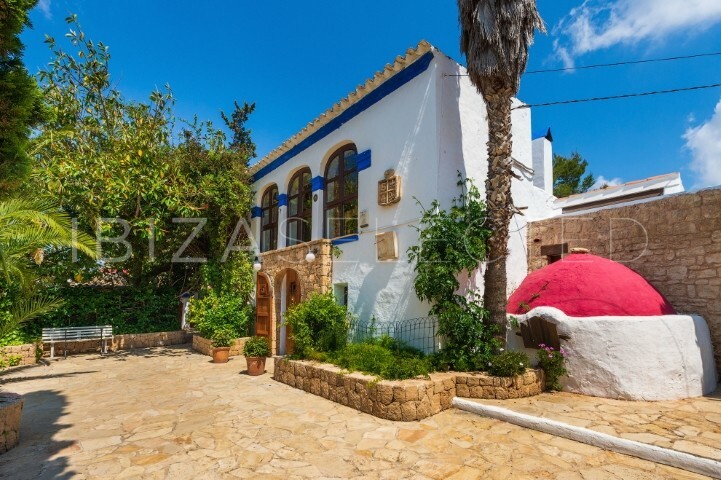 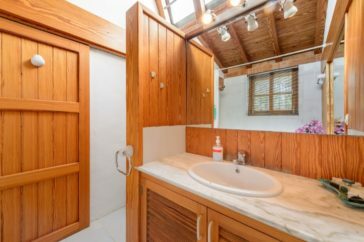 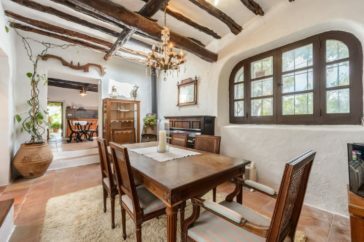 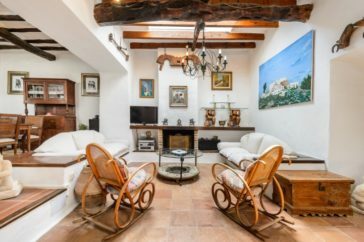 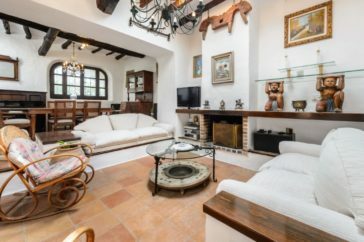 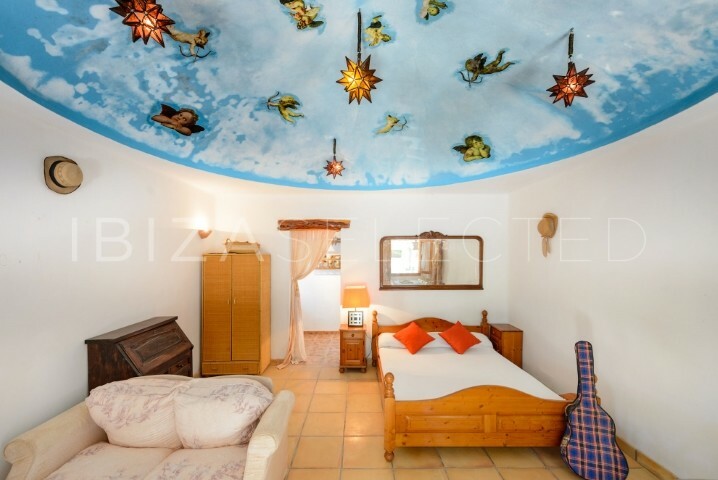 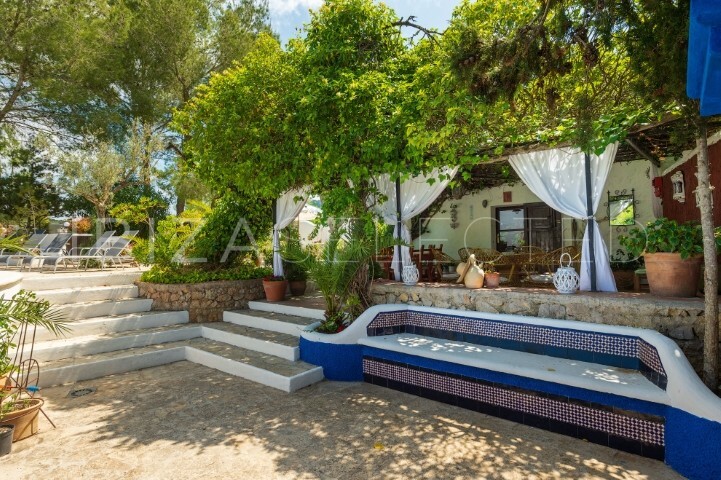 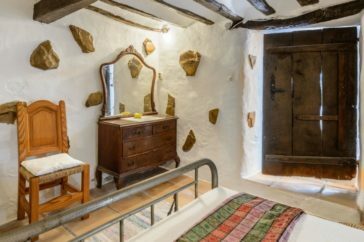 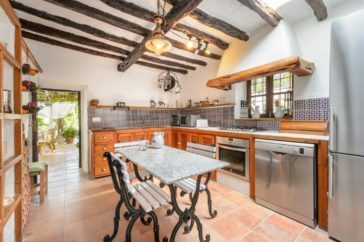 Traditional ibicenco country house located in the quiet countryside between the quaint village of San Carlos and Santa Eulalia. 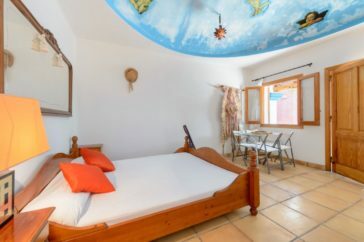 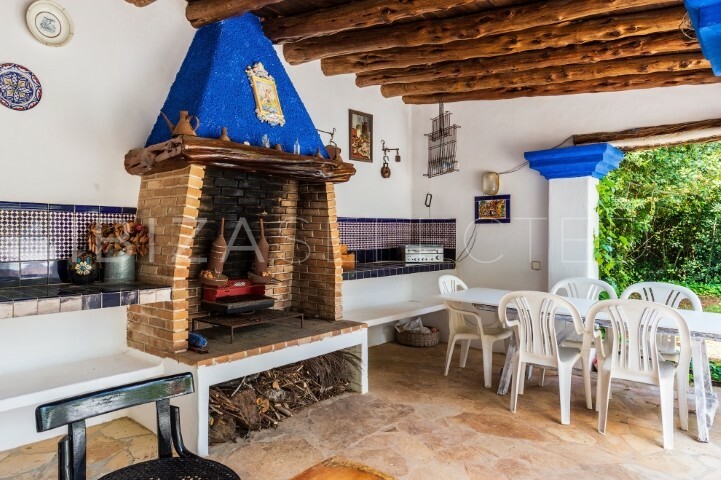 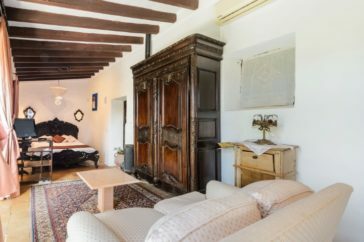 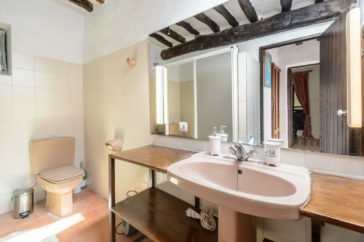 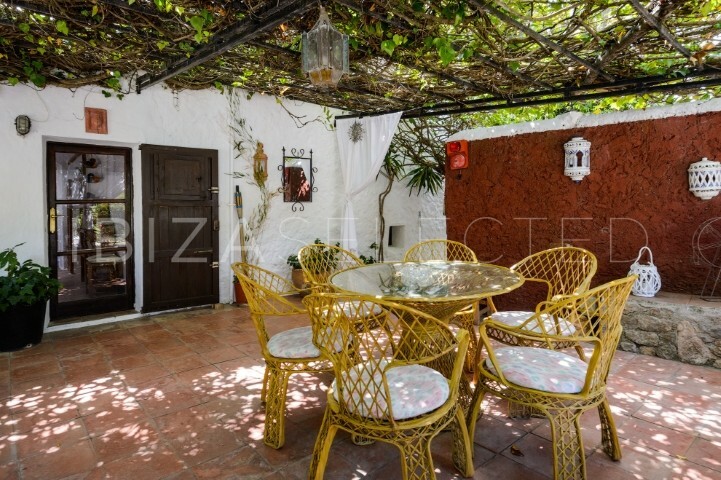 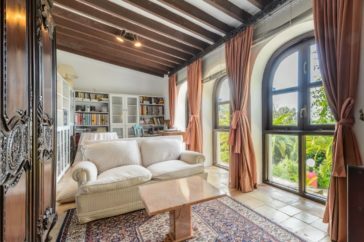 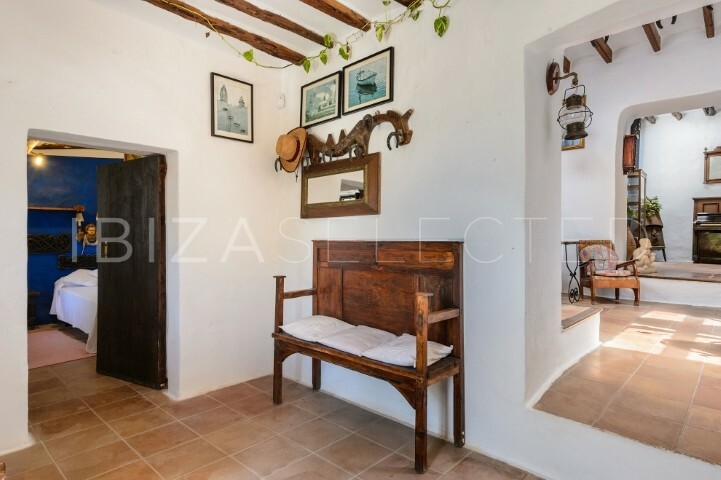 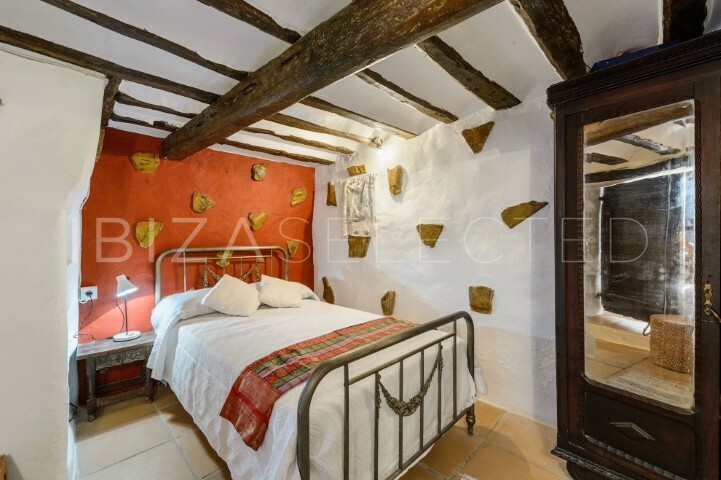 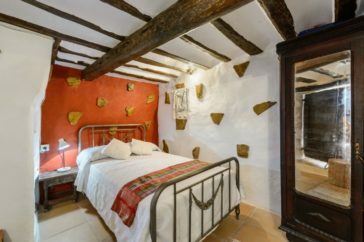 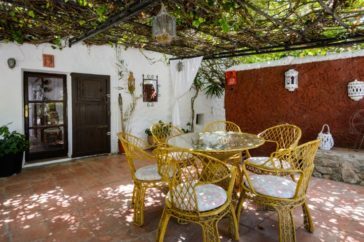 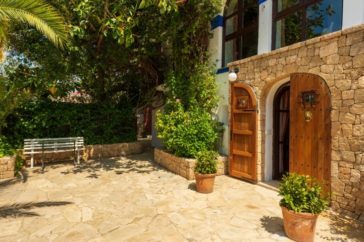 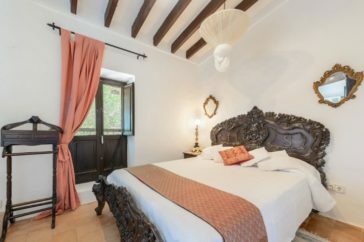 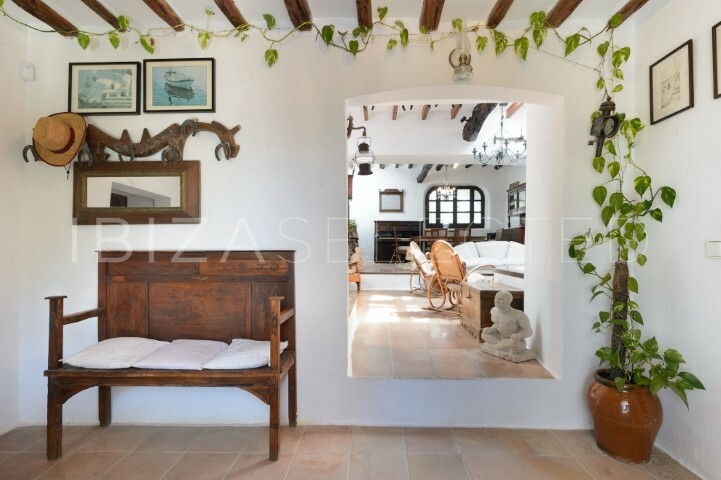 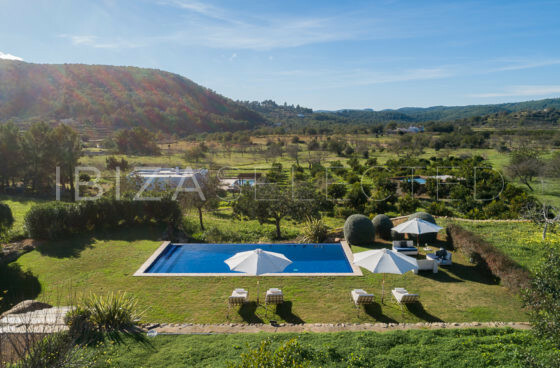 This charming old finca is made up of three separate buildings, the main house which is the oldest part of the house and two smaller guest houses. The living room with log fire and the integrate window in the ceiling is ideally for the evenings together. The open dining space with the kitchen and door directly to the garden brings enough room and an open living flair. 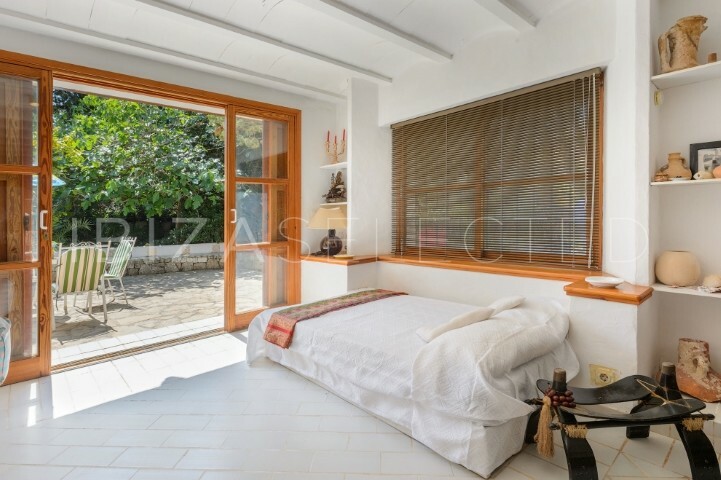 The main house has 3 bedrooms. The master bedroom owns the whole first floor. 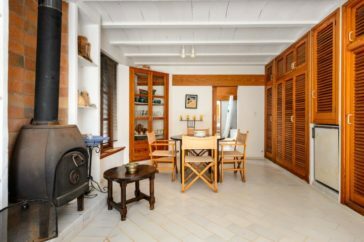 Additional to that there are two guest houses, which each of them has a own bathroom, a living area with a small integrate kitchen and a private terrace. 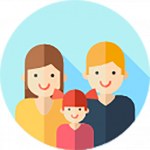 Perfectly suitable for befriended couples or families with children. 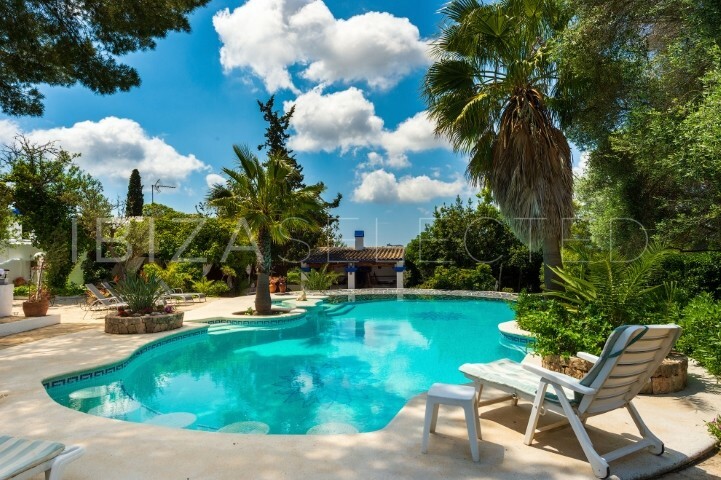 The property has a large pool and extensive terraces for lazy afternoons and sunbathing. 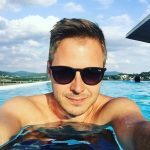 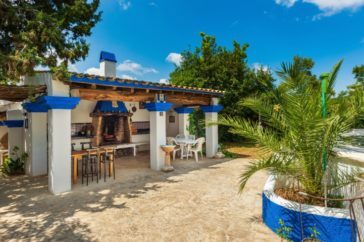 There are numerous shaded areas and pergolas as well as on outdoor BBQ area near the pool which gives you the perfect shadow spots during the heat on Ibiza. 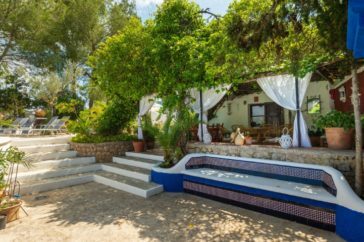 This is a very child friendly villa as the pool has a shallow beach end and sits, as well as a dining table intergrate into the water. 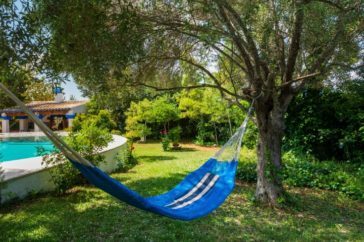 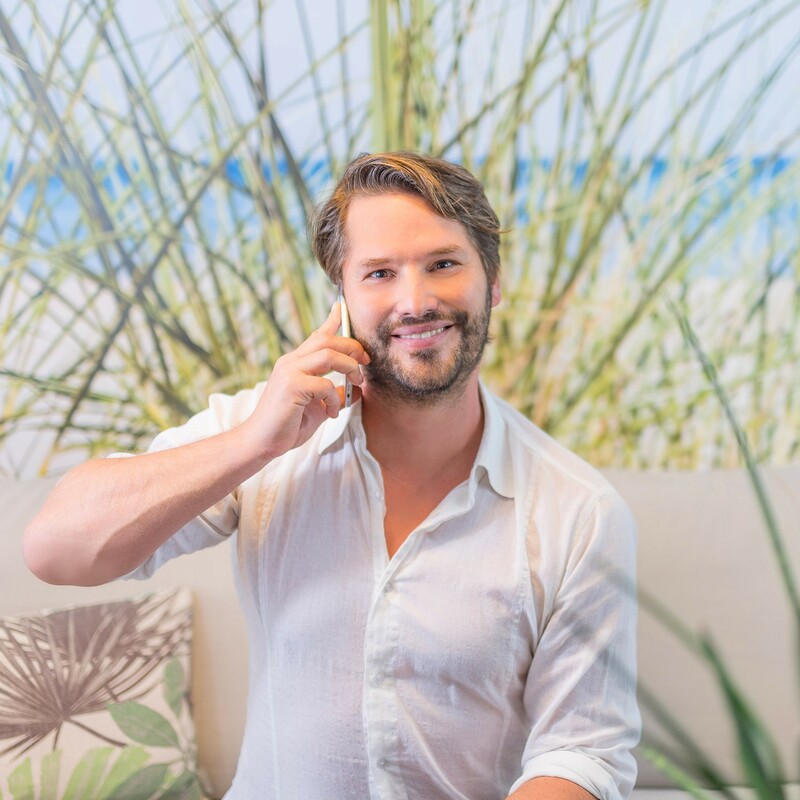 The exteriors and gardens have mature plants and palm trees and offer a completely private and peaceful environment for a relaxing holiday. 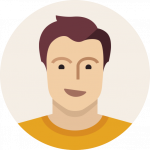 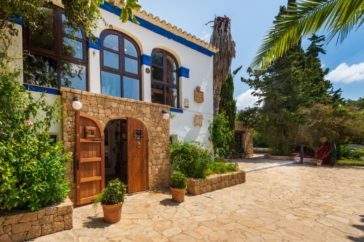 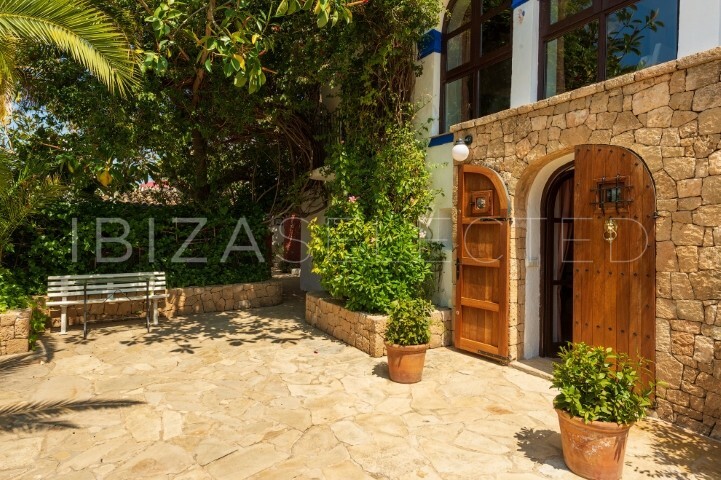 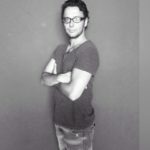 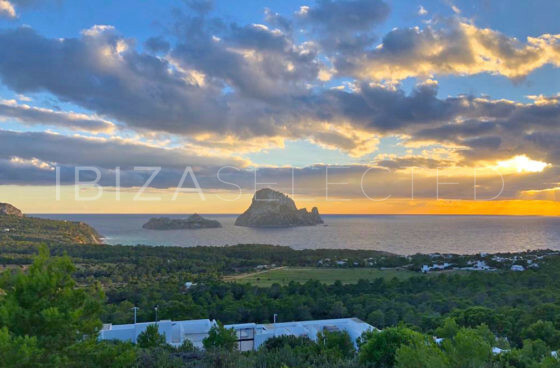 The villa is a short drive to the nearby supermarkets of Santa Eulalia and the nearby family friendly beaches of Cala Nova, Cala LLenya and Niu Blau.